This is a place to re-connect, tell a story or two, browse some pictures and refresh your memory . Brown shoes welcome aboard! 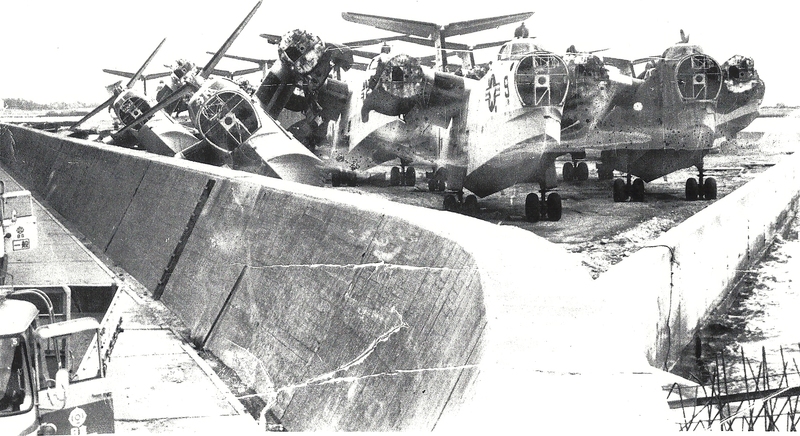 This former Seaplane Era group of VP40 Airdales is now accepting ANY VP40 Airdales. We have expanded our group to include all VP40 former/current VP40 personnal. You are welcome to join our group, attend our reunions, and receive newsletters/ rosters of members etc. Please fill out the info below for more info on our group. Crewed helicopters from 1983-1990, then got a Flight Technician billet via VP-31 to VP-40, arriving in late 1990, departing in 1994. I was with VP-40 for Moffett Field’s BRAC; we were supposed to transfer to Brunswick, and were performing a ‘tri-site’ deployment(Panama, Adak, Moffett) while preparing to transfer. I believe about 20% of our command actually made it to Brunswick when VP-40 was ‘re-transferred’ to Whidbey Island. We also deployed to Misawa/Okinawa in 1993/94, with several detachment sites. I got orders to CPWP in Hawai’i and departed in 1994. I was in VP-42 when it decommissioned and transferred to vp-40. I went to sangley point in April of 1970. I am interested in pins and a hat with squadron patch. Crew member QE5-Transpac from Alameda, Ca 1959. Would like to here from some of the ole timers, AO3 miles are you out there. I served in VP-40 from Dec 1957 to August 1958. I was assigned as PNSA on the tour of Duty to Sangley Naval Air Station, Cavite, P.I. We were over staffed in Administration on our return and I was low man on the Totem pole. I was transferred to the Electronics Office, U.S.FLTASW School, San Diego. I was Honorably Discharged in 1961. I was in the Beach Crew 1965-1967 at Sangley. I spent most of my time as the “wader”. Great duty! I remember “Big”Paul Kolb. I was also on the ramp when my friend Jeff Luna was killed while he was walking along side the main gear when an aircraft was being pushed to the ramp. He tried to jump out of the way but he hit the brake handle and was pushed under the wheel. One of the saddest days in my life. Farrow: I was on duty when Luna got run over. I remember you. 2nd class Millikan was the spotter who drove the tractor. Sorry to hear of Bernie’s passing. I was the PC of crew 10 and PC instructor. Robert Bluford PC had a bad rash and I offered to take the flight for him, he said he would take the flight. It still chews on me. Joe Daugherty and I were friends. I ran into him on the Constellation in 1963 or 64. Tom Pepper lives here. Bob Metcalf crew2, passed away about 5 years ago. I was going to take a flight with Lt. Brune but Chief Bade said I was a back up PC so I didn’t go. Sad deal, Lt. Brune was an easy going guy, who grew up in Kansas farm country. with his P3 and a jet fighter in Texas. Chief Drombroski and I were at North Island. Does any body know if “Lucky” Bade is still with us? V.D.Tummons AO1 flew with me in crew 5 when Lt. Prosser couldn’t contact aft and got no response. He got mad and turned the airplane on the left side. Virgil almost fell out of the entrance door, which was usually open. He went after Lt. Prosser using bad words . I had to calm him down. Lt. Prosser was grounded and Virgil was chewed out. Shortly after that, all P5M’s had a safety net to cover the door. The best pilot I ever flew with was Lt. Polland. Very professional. No chit chat. Served in VP-40 from Feb 1998 to Oct 2001 as an AW2 Acoustic Operator. I am currently stationed at VP-30 as an AWFC P-3 Flight Engineer Instructor set to retire around the end of May this year. Really enjoyed my tour here at VP-40. Ron, we flew together during that same time frame in VP-40. I think Brett Mechi was your FE. There is a VP40 reunion planned in Branson MO Sept of 2019 with the 70’s to 90’s era squadron mates. Hope you are well. I am retired in central Florida. This is Guy Fisk and VP40 is having a reunion 9/5/2018 to 9/9/2018 in Nashville, Tn. I am not aware of any reunon in 2019 in Branson, MO. I served vp 40 1997-2001. MS2[AW] and I will be honored and it will be a privilage for me to be a member of this vp 40 group.VP40 is station in Whidbey Island., and right now my husband is station in Everett, and I it is about 1 hour drive to Whidbey Island. I bought all my VP 40 t shi=,ball cap and patches from the squadron. THE BEST SQUADRON EVER. My last name when I was with VP 49 was Snyder. I was on the beach crew in 1966 & 1967. Made two tours from North Island to Sangley Point and was in VP40 when we decommissioned the P5Ms. virgil don,t know if you remember me bob uzel 63 to 67 beach crew. Bob Uzel from Darby town Road. : This is Les Milligan Beach Crew 64 thru 66. Not sure how this site works; am I replying to Bob Uzel? you are replying to me, the web site manager. I will post it on the site for all to view and erspond. you are replying to me, the web site manager. I will post it on the site for all to view and respond. Hello from the 1960’s! Do you remember corresponding with someone in Arizona? 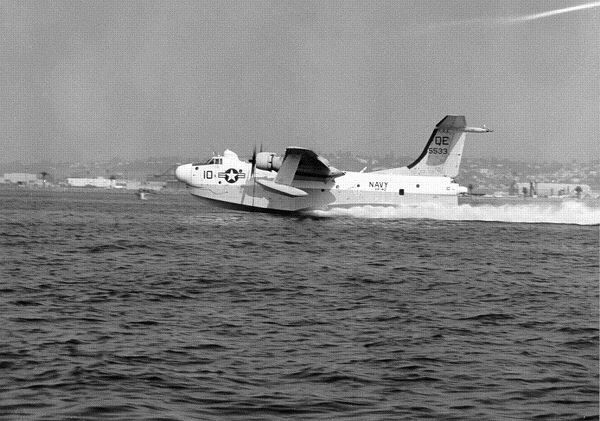 Served in VP-40 from 1951-1952 prior to transfer into VP 46. Would be interested in the reunions. Bill, I was in vp40 from 1957 -1960. I don’t recall you. I’ll be 81 on March 5, 2019. I was a radar operator. Richard, Did you ever get lucky in Cavite? Does anyone in your family have letters from you, with the envelopes having post marks from the seaplane tender or the base. That will help prove that you were there. I WAS A AE2 WITH VP40 IN THE MID 1960’S 65-66-67 THREE TOURS TO VIETNAM VIA SANGLEY POINT. 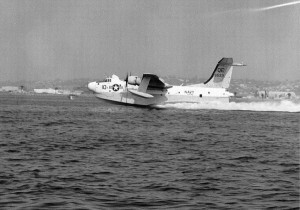 DISCHARGED IN DEC.1967 AT THE END OF THE P5M ERA. I remember Elmer Shirley, I did not realize that you and I were sent home in the same month. Hello! Just after I posted a message to this page I noticed your name. Fifty + years ago I corresponded for a short time with a young man with the same name. He was in the Navy, serving aboard the Laging Handa, near the Phillipines I believe. I’m wondering if you might be that person? I was a student at Cochise College, Douglas AZ in 1965-66, and received a letter from a group of sailors from the Laging Handa. To this day I have no idea how they got my name, but I fondly remember the pen pal relationship I had for a couple years with Virgil. I’ve always wanted to solve the mystery of receiving the letter. I apologize if I have intruded, but couldn’t resist sending a note as your name matches that of the person I corresponded with so many years ago. I served in VP 47 from 1987 through 89, and I can’t find my name in the shipmate registry..
You are not in our registry because this is a VP40 site not VP47. They do have a web site. Try this site, it may help you. I served in VP-40 in the late 1950’s. I served with VP-9 (68-71) I know this page is for VP-40 shipmates but you seem so well connected I am reaching out to see if you have any contacts or information on how I can find shipmates from VP-9 during the years I served. I have hit dead ends every step of the way. Appreciate any direction you may provide. It was real and fun BUT ??? Served in VP 40 from late 1961 to early 1964 in Sangley Point, PI. May have been the best time of my life. Please check the PLAN of the DAY TAB for posts to this web site. Guy Fisk, I filed a claim that was denied because I could not prove that I had boots on the ground in Cam Ron Bay, which I was several times in 1968 & 1969. I was with the VP-40 Patrol Squardron. Any info that you can help me with will be appreciated. My name is Floyd B. Roberson, JR. I live in Roxboro, N.C. Retired CSM Johnny Langford(DAV Service officer Chap 72) is helping me with my appeal. Floyd – I am searching everywhere for any information possible on documenting boots on the ground at Cam Ranh Bay. I served with VP-9 during a deployment to Sangley PT and supported ground operations as a mechanic during a detachment to Cam Ranh. The squadrons did not issue separate TAD Orders when sending you to Cam Ranh. Please advise if you have any thing that can help me with my claim. We are in the same boat. If you set mail from the Tender and your wife or someone else still have the letters, the post mark on the envelope will prove that you were there and on the ship. I was with the squadron from Oct 71 to july74. I would like to get on the mailing list for futher reunions. It looks like a lot of fun. If any of you know how to reach Bruce Hart please let me know. I’m looking for an AE Named Joe Blagoue. He worked on searchlights in the late 50’s, early 60’s. We were in boot camp and A school together. An old shipmate contacted me as a result of seeing this website. AO3 Darrell Kimbrough flew with me in crew four in the early sixties. It’s greet to hook up with old shipmates after all these years! I have been looking for any info on my being in VP 40 from 1960 to 1963. I had lost about all the paperwork that I had,I just recently applied for VA benefits and could not remember dates ,But i accidently found this page and saw cruise books and i found me .I want to thank you from the bottom of my heart. anytime or anything we can do to help each other we will do it. You are more than welcome to join our group. hickey, did you return to Ft Worth or stay in the Philippines? I have often wondered what happen to you and Murphy. Reconsideration approved Vietnam service. A.O. I have several types of 3 view drawings available. Please contact me. I’d appreciate a large, 8.5 x 11 3 view, if you have it. Enclose with reply e-mail. Hi Bruce still looking for a good fairly large 3 view. Anyone have 3 view drawing available of the Marlin? Try Pinterest. There are a number of groups with pictures of seaplanes. My collection is under Navy. I was PC for crew5 &10 only ADJ PC squadron they ever had. 61-64 , I have a photo of the crew that flew the last plane to Florida. Have photos for Kevin Finch. Hi from Ltjg Clifford Budd (1961-1964). Let me know how some of you are doing????? Do you remember Bert Burton? He was on the plane piloted by Cdr. Veg élan that crashed? This is a great web site, Guy! Thanks for drawing my attention to it. We have some great history with Ten Boat now on display in Hangar Bay One, Pensacola Air Museum. Looks like someone took an ugly stick to our Panel! I’d like to be added to the roster. request info,,,dues?